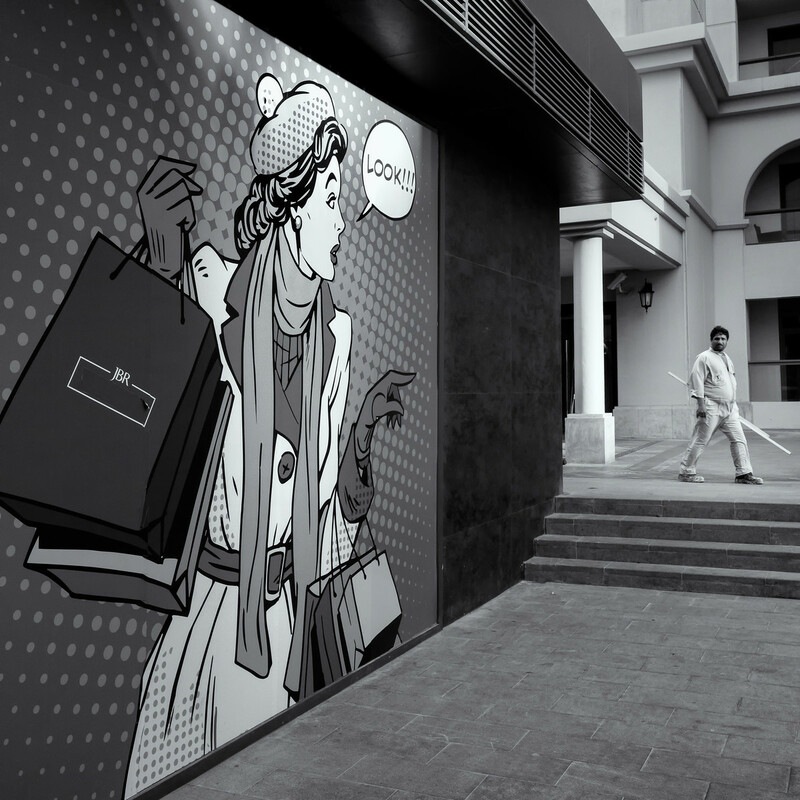 The last few days have been a bit hectic as we are finalizing the 24 HOUR PROJECT in DUBAI. In case you missed the announcement of the largest Street/Documentary photography project and want to participate, it is still not too late! It is happening worldwide in over 700 cities next SAT, April 1st (no, not an April fools!). Check out one of my previous posts here. 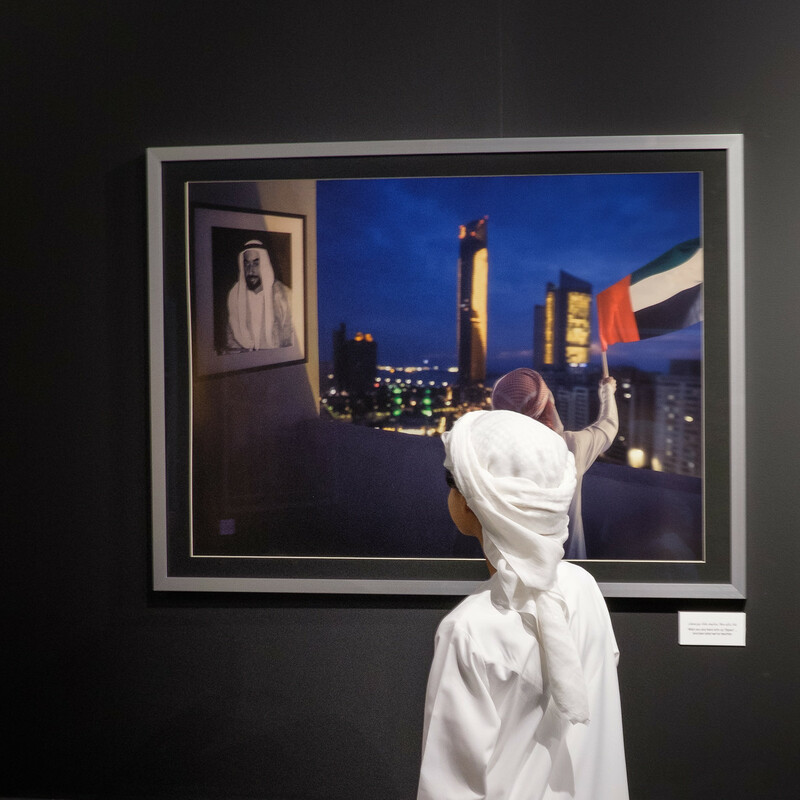 The registrations for the 24 HOUR PROJECT in Dubai have been very strong; with over 35 photographers registered today, this is at least a fivefold of previous years. Congrats to the 24 HOUR PROJECT organizers for breaking the previous record of 718 cities and 107 countries being registered! 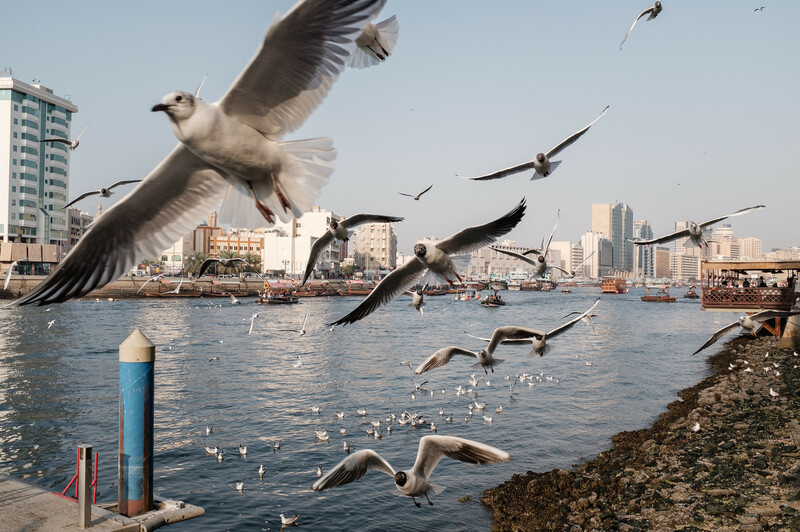 Back to my Pic(k) of the week,... Hungry birds is an image shot at a place I'll definitively try to visit at Dubai Creek (Bur Dubai side) next SAT; it is known for the constant flow of people feeding the seagulls and can provide you with some interesting photographs. As I've been recovering from my ski-injury end of February, I've only shot with the new Fujifilm X-100F. While I wasn't too convinced about the improved autofocus in my First look review of the X-100F, I must correct myself now, which I've also done with a post edit in the original post! The autofocus of the latest X-100 series is definitively much faster and snappier than its predecessor, the X-100T; obviously this had to do with the pre-release firmware that was installed when I initially tested the camera several months ago. 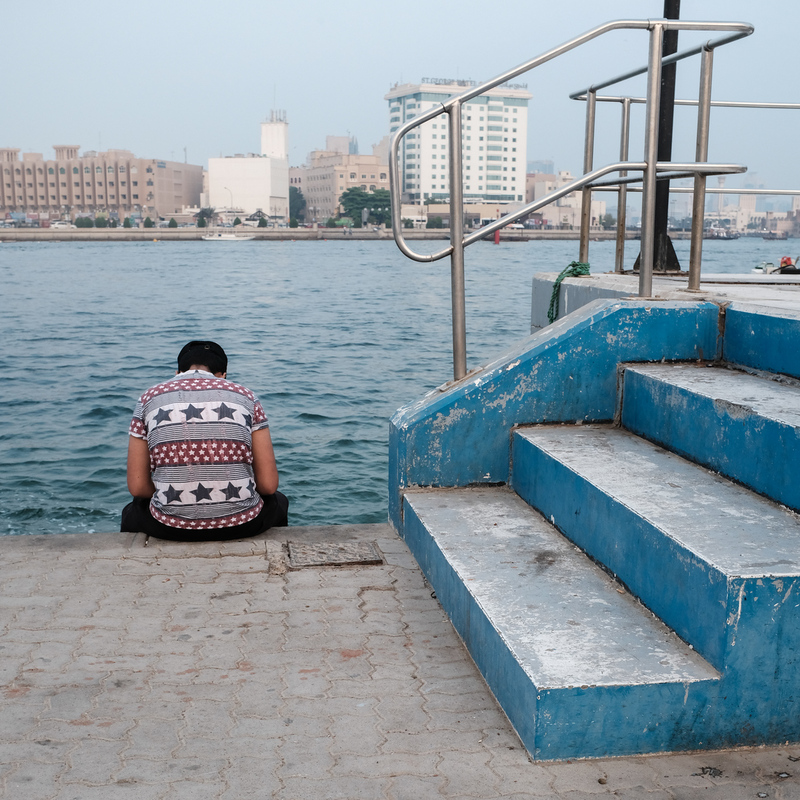 More images shot around the Dubai Creek area can be found in my "Life around the Creek" gallery. Remember: "IF IT DOESN'T CHALLENGE YOU, IT WON'T CHANGE YOU". Symbolic images are often the stronger ones... 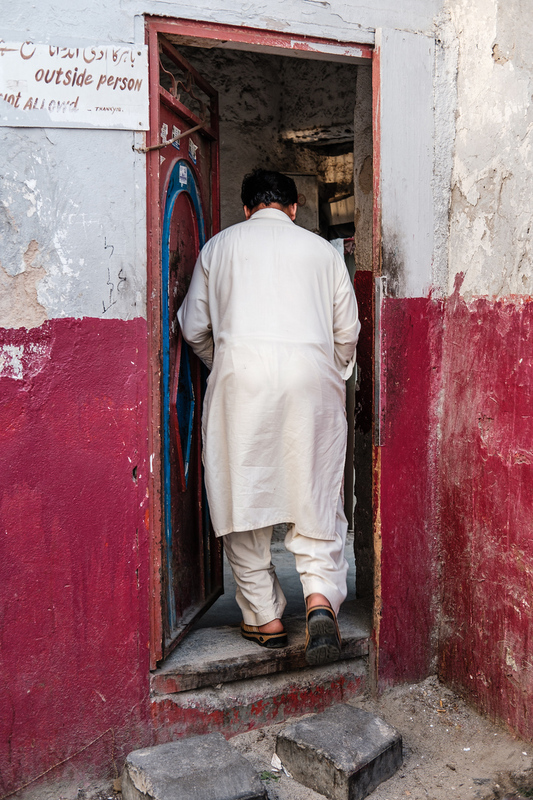 Such is probably the case with the image below shot at the Kushti wrestling in Dubai! 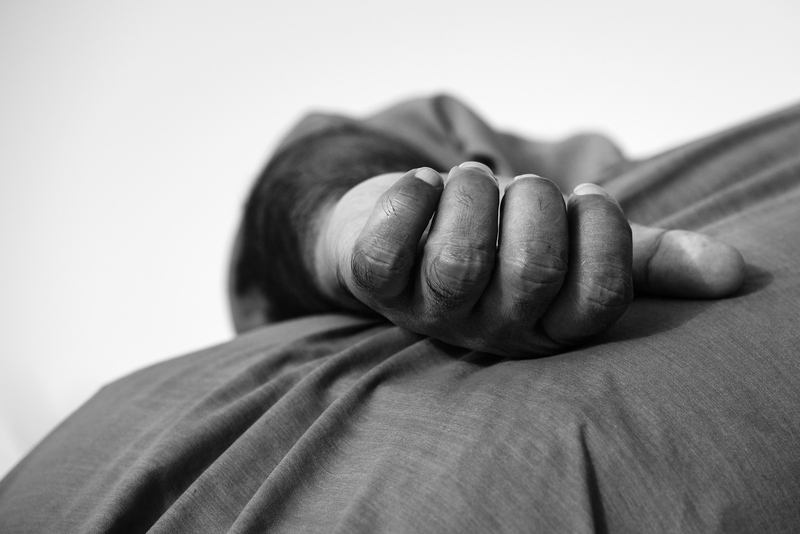 Beside the eyes, hands are likely the most part powerful part of a human being. 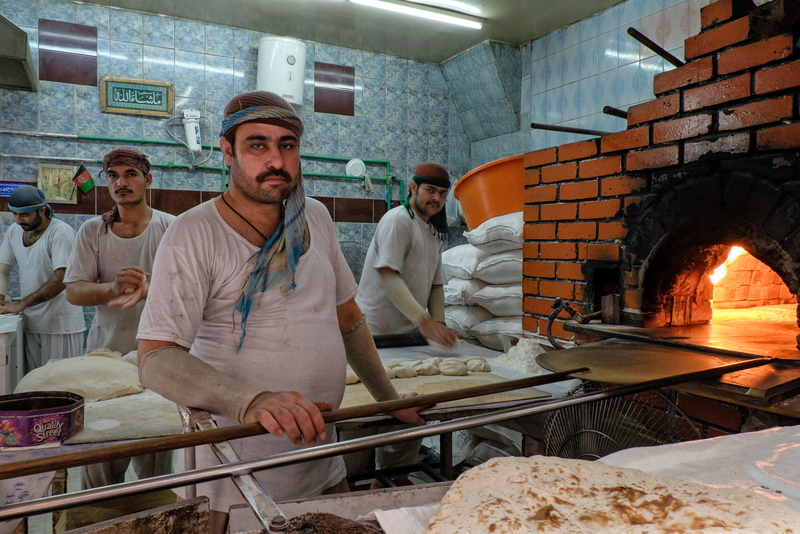 In the Muslim world the left hand is often looked at as an underdog because people eat and greet with the right hand. Being left handed and non-muslim myself, for me it is my main hand. Studies show that only about 12% of the worlds population is left handed; clearly a minority. It also shows that they tend to be more creative; I'll buy that one! After I got injured on the left shoulder while skiing end of February, it pretty much immobilised my left arm/hand, which has turned out to be an interesting experience... In case you are wondering, I do expect/hope to be sufficiently recovered to participate in the 24 hour project in Dubai on April 1st! Preparation for the 24 hour project in Dubai has been in full swing. In case you missed it, make sure you check out my latest extensive blogpost here. To be held on April 1st between 0000am and 2359pm, the Street/Documentary challenge, is now less than 10 days away! Remember: "Sometimes all a person needs is a hand to hold and a heart to understand"
We're now less than 2 weeks away from the worldwide 24 HOUR PROJECT on April 1st! It is still not too late to accept the challenge and register for this FREE event... In case you missed it, I've blogged about the project here. Please check it out to have a basic understanding of what it is about. As the ambassador for the project in DUBAI (follow me on Instagram), I'm pleased to see the number of online registrations (www.24hourproject.org) go up on almost a daily basis. As of today, we have 30 people ready to accept the challenge of documenting humanity in Dubai, over a 24 hour period, starting April 1st 0000am and running non-stop till April 1st 2359pm. Believing that no human is illegal, this year we are coming together to provide urgently needed relief to Refugees by supporting @Lesvossolidarity ; a refugee camp run by volunteers providing shelter and hospitality to the most vulnerable humans! In this post, I'll list a few do's and don't's that will hopefully allow you to make the project a personal success. Within the post, I've uploaded a few of my images that would make good candidates for the 24hour project. Because they are not shot on April 1st 2017, they can of course not be used for the project! WHAT PHOTO GEAR TO BRING? First of all, less is better for a project like this. It is perfectly fine to shoot the project with a camera phone or a fixed lens camera like the Fujifilm X-100 series. You do not need any fancy gear! If you do plan on using a "real camera", try to limit yourself to a couple of lenses only; preferably light weight gear, so leave the large telephone stuff at home. 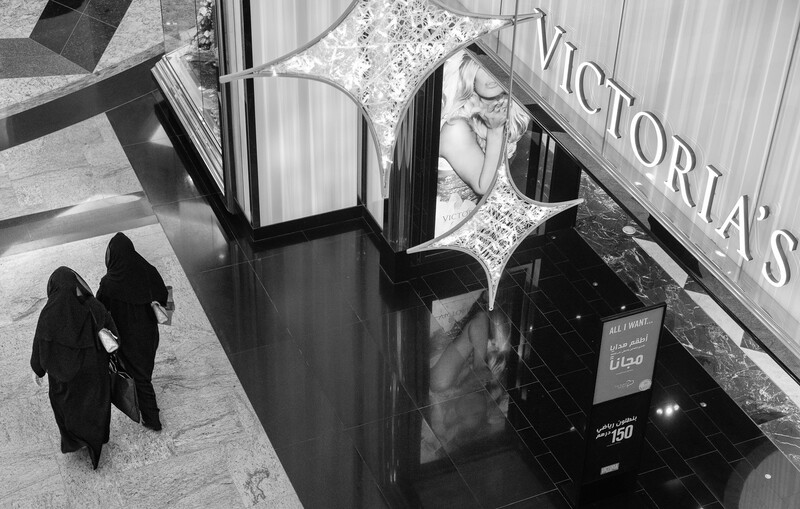 For most Street/Documentary photography any full frame equivalent focal length between 21mm and 50mm (14mm to 35mm cropped sensor) works the best. The more experienced street shooters will likely use "prime lenses" (fixed focal length - non-zoom). I personally will be using the Fujifilm X-T2 with two small "Fujicron" 23mm f2 and 35mm lenses. For the darkest hours, I might also use the 16mm f1.6. for a few shots. Bringing minimum one fast lens (minimum a f2.8), is a good idea in order to be ready for low light shooting. As the challenge is to upload one image every hour, having a camera that allows you to upload directly to your phone/tablet through built in Wifi, will definitively be the easiest. More recent mirrorless cameras like the Fujifilm X-series will be perfect for that. If you do want to use a DSLR without built-in Wifi, think how you will upload the images... Remember, you will need to do this process 24 times as one image needs to be uploaded within the hour to successfully complete the challenge! The easiest for the those that don't have a camera with built-in Wifi, is probably using an adapter that allows you to download your memory card directly to your phone or tablet. If using the Apple system, consider the "Lightning to SD card camera reader" which is sold for 29,-USD (119,-AED). In all cases, make sure that you test your system before going out on April 1st and try to have some kind of a back-up camera system... That might be your phone if you use an actual camera system. Make sure to bring enough batteries for a full day of shooting; remember there will be 24 hours in your day. Alternatively bring a battery charger and/or a cigarette lighter adapter, that allows you to charge while you drive. WHAT OTHER GEAR TO BRING? Probably the most important is making sure to wear a good pair of walking shoes. Last thing you want are painful feet just a few hours into the shoot. Consider printing some 24 hour project presentation cards, in case somebody is asking what your are doing. The template can be downloaded here. Fill in your Name and/or Instagram account before printing. The weather in Dubai early April should be warm but not too hot and humid yet... However be careful with possible dehydration and make sure to drink enough; preferably water. Also bring sun protection in the form of a hat and/or sunscreen; especially for those of you sensitive to the sun. Consider bringing a few energy bars for those occasions where food is not readily available. Bring a phone, preferably one that has "internet data" enabled in order to upload images directly to Instagram/Facebook. Even when you normally use WiFi only, consider buying a short term subscription in order to have 3G/4G data. You'll likely use more data on the day because of the uploading of images and staying connected with the photographers at work. I plan on setting up a WhatsApp group in order to keep track of each other and potentially meet a few times during the 24hr period. Consider to bring a battery pack and/or charger (normal or cigarette lighter) in order to make sure that your phone will last the 24 hours. Most will not do so without extra charge. If you are driving yourself, consider bringing a few pillows and blanket to be able to take a few naps in the car where needed. 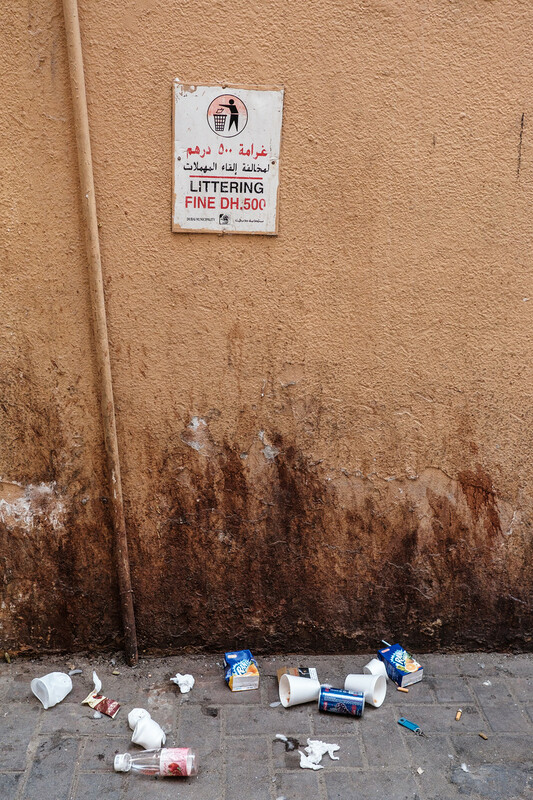 DISCLAIMER: First of all, I'm not the authority when it comes to photography laws in the UAE. At no time can I personally be held responsible for another photographer's acts and/or images. You all act on behalf of yourself and can only blame yourself if you end up in trouble. Apply common sense, respect for the people you decide to photograph and act responsibly. 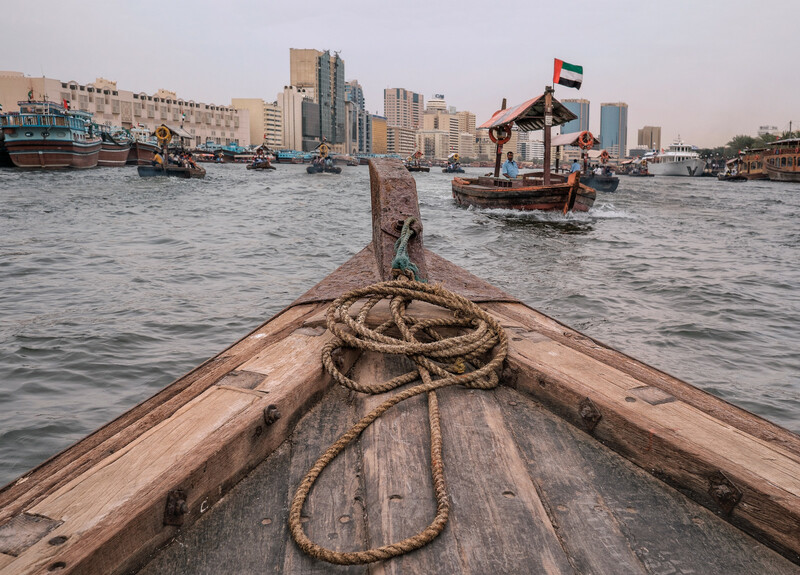 For those of you new to Street photography in Dubai, be aware of the relatively strict laws when it comes to posting images in the public domain; i.e. Social media and personal websites. First of all respect "No Photography" signs; typically places like (but not limited to) palaces, Military and Police stations, certain bridges, embassies, government buildings, are off limits. 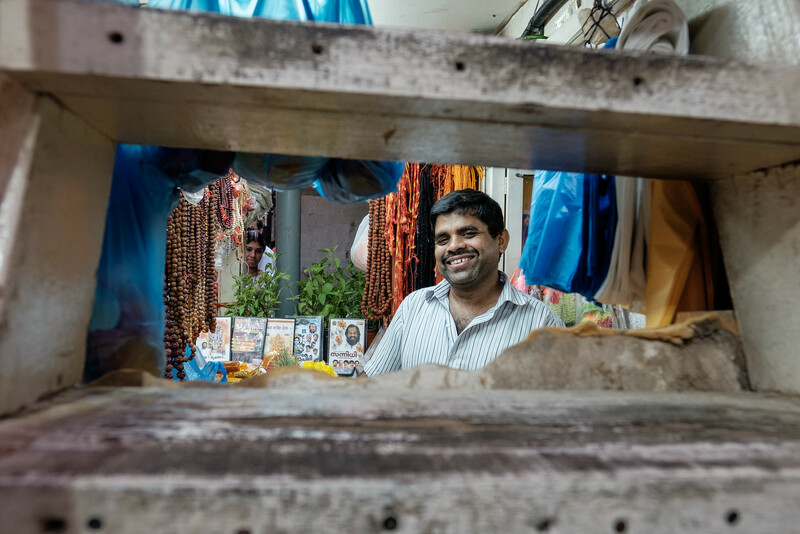 When it comes to photographing people in the UAE, I would like to refer to a comprehensive legal summary by the Al Tamini legal group which can be found here. In short make sure you respect local culture and religion, especially (but not limited to) photographing females. Don't publish images without the agreement of the people in the image. WHAT TO PHOTOGRAPH FOR THE 24 HOUR PROJECT? Throughout this post, you'll find a large variety of images that I personally all deem OK for the project. Remember we try to capture humanity; think emotion, sad, laughing, lonely, happy, tired, etc... Remember that images without people might also document humanity! Especially with the current photography laws in the UAE, think outside the box! Silhouettes, people from behind, even images with no direct people in the shot but a link to humanity will work. Now, that doesn't mean one can not photograph a person that is recognizable. Ask for permission to make the image and then ask if it can be shared on social media. Consider giving them one of your printed presentation cards or other business cards and even email them the shot if they so desire. PLAN YOUR SHOOT - WHERE TO SHOOT? First off all the shoot is not a classic photowalk, where everybody moves together. Everybody shoots for him/herself and we should try to limit ourselves to 2 max 3 people while shooting. First think how you will move between places; will you use your own car, taxi or public transport? Either might work but will of course come with advantages and disadvantages. Because of the constraints of having to post one image every hour, make sure you have a basic plan before going out there. It needs to be flexible and reasonable to execute. Every hour I personally will plan about 30 mins to look/shoot for an image; 10 mins to edit upload, and 20 mins to potentially move to the next place. In order to start your own individual planning of the 24 hours, I would like to meet as many as possible around 8am for breakfast, at a yet to be confirmed place around the Creek area and for probably dinner at Ravi restaurant in Satwa. More details will be communicated directly to the participants a few days before the event. Needless to say that the event will be challenging from a lack of sleep perspective. Remember, the first image needs to be uploaded before 1am so getting some sleep in the afternoon or evening (the day before) will be essential to make the challenge a succes! As an airline pilot we regularly have to sleep during the day in order to have some pre-flight rest. I personally recommend to sleep whenever you feel a bit sleepy; even if this is around 3pm the day before. Nothing is worse than going to bed at 8pm and counting the hours till your wake-up call. If you are creative (you should be as you are a photographer! ), you can built in a few blocks of 20-30min naps during the difficult hours. As an example, if I upload an image at 1.55am and then shoot the next one and upload just after 2am, one will have at least one hour to take a nap and then move to your next place. I do not recommend napping longer than 30min in order to avoid feeling groggy once you wake-up. There are no rules to shoot one or the other! Both might work and one can shoot a mix of both. 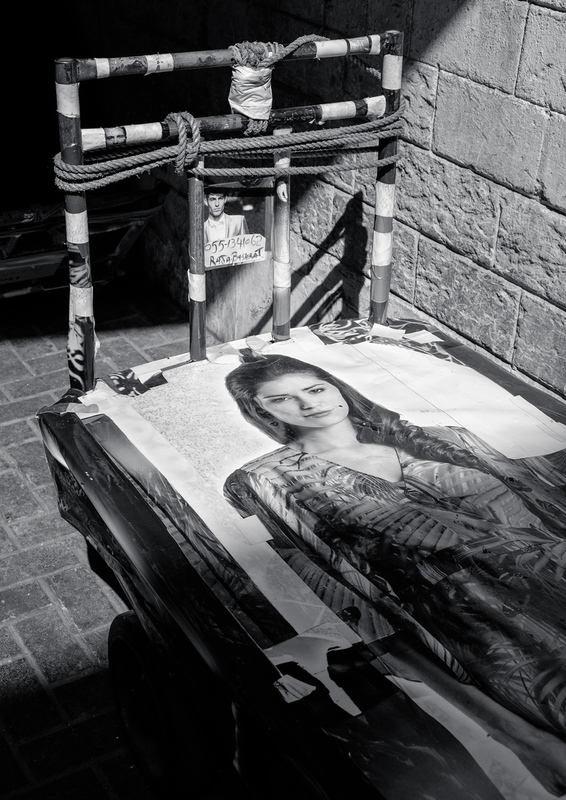 I personally "see" Dubai more as a colour city as can be seen in my Street Photography work here. For those of you shooting the Fujifilm camera system, make sure to check out the "Classic Chrome" Film Simulation, great to document life in a colorful city! Cleary there won't be a lot of spare time for editing your images if this is something you normally do... I strongly recommend trying to do as much as possible "in-camera" and the remainder on either a phone or tablet. Applications such as Snapseed, iPhone and Lightroom should all be plenty to upload an interesting image. As a good guideline try to limit yourself to a maximum of 2 minutes for image editing! Remember, that you will be asked to upload your final images a few days after the event. The best of these will then be used for a book publication and/or exhibitions which will travel the world. The main platform where we would like people to upload their images to is clearly INSTAGRAM. If you don't have an account, visit www.instagram.com to open a free account. Secondary we also encourage to upload to Facebook / Twitter / Tumblr / Flickr. I personally will use the automatic upload to Facebook, Twitter and Flickr through my Instagram posts. Remember the more we share the more visibility the project gets. The format to be used on Instagram is as the example below. It is vital to use that format! If you want to use other hashtags, make sure to list them AFTER the format above! I suggest to copy the sample format, adapt it with your own Instagram account and then keep it in a note on your phone/tablet/computer. This will make life easy with every image you upload. 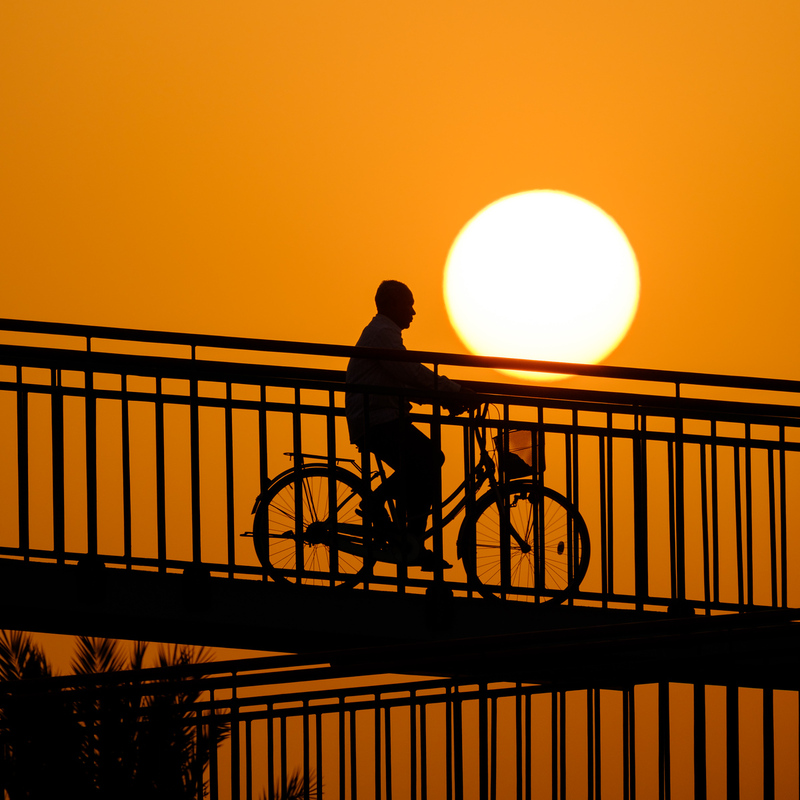 Those of you shooting in other UAE cities, make sure to change #dubai for #your city. 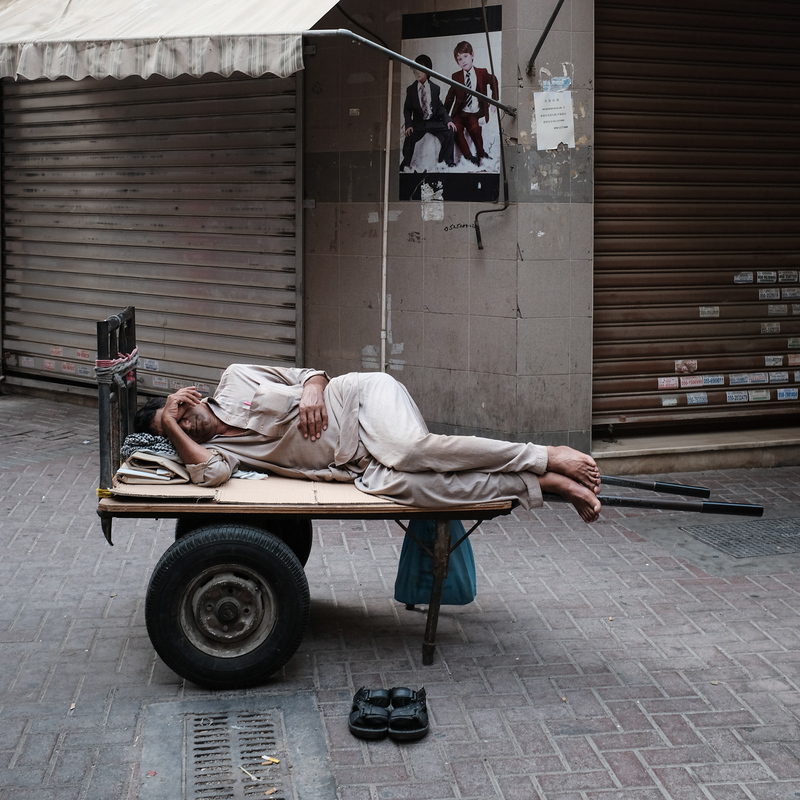 On Saturday March 25 the fine people from the Emirates Photography Club (EPyC), are holding a FREE Street Photography workshop in Dubai from 09am till 12am, for all people registered for the 24HOURPROJECT. If you haven't received the info, please contact me through email or Social Media (links below). In any case, it is still not too late to register for the 24 hour project! If this post pulled you over, make sure to register at www.24hourproject.org ! Feel free to share this post or even grap the banner image above and spread it amongst your photography friends! To all of you who have accepted the challenge, remember, IF IT DOESN'T CHALLENGE YOU, IT WON'T CHANGE YOU! As the preparation for this years 24 HOUR PROJECT, a challenging non-stop 24 hr shoot is in full swing, I like to blog a typical image which we would love to see appear during April 1st event! More info about the 24 hr project at the end of this blogpost! 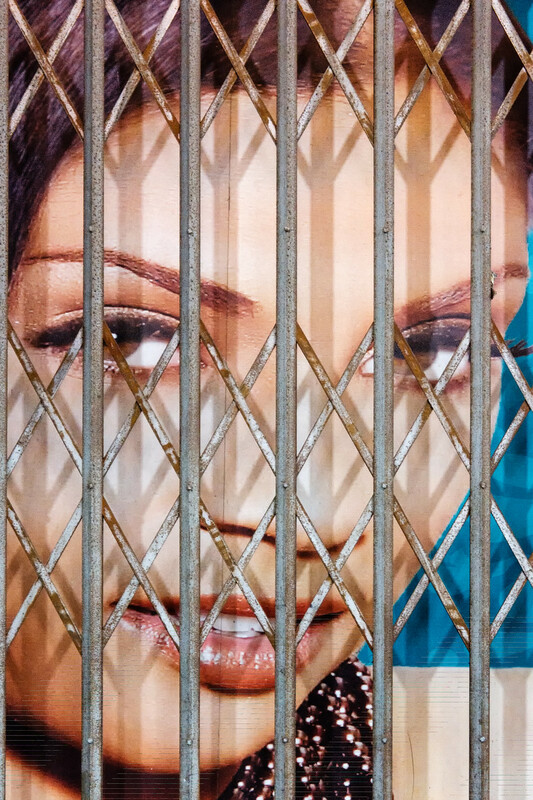 For the ones that are not sure, the image is a shot of a poster in a closed shop window. 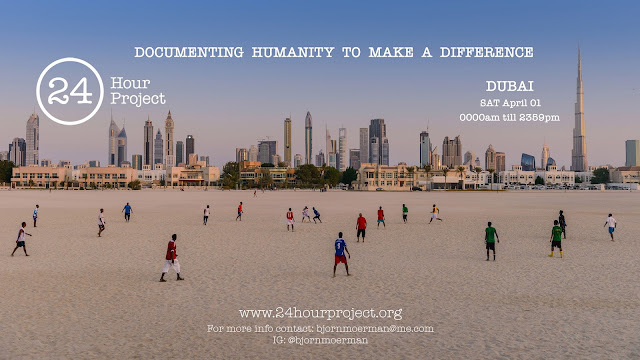 As stated at the beginning of this post, on April 1st, I'll be hosting the 24 HOUR PROJECT in DUBAI. 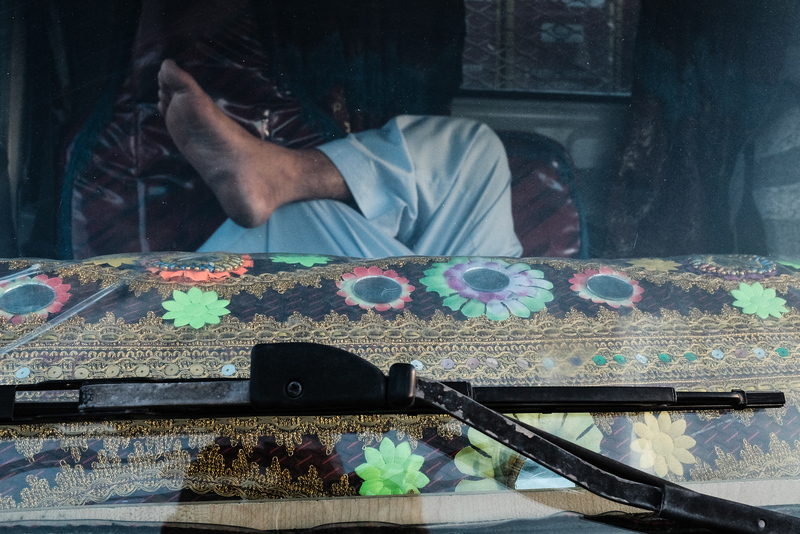 In short the 24 HR Project is a yearly worldwide 24 hr non-stop photoshoot, which gathers Street and Documentary photographers from around the globe who share in real time images documenting the Human condition of their city. All photographers upload minimum one image per hour on social media; preferable Instagram, but Facebook and Twitter or fine as well. Images need to be shot on the day itself. You don't need a fancy camera to participate, a camera phone will work just fine! Last year 2785 photographers in 718 cities from 107 countries participated. Worldwide the event will start on Saturday April 1st at midnight (0000am) and will run till Saturday April 1st 2359pm. For the suspicious ones, no it is not an April fools'!. I've volunteered to be the ambassador for the project in Dubai. If you are not a member of Facebook, please leave a message here or send me an email; link to email you will find in the ABOUT section at the top of this webpage. Remember, "If it doesn't challenge you, it doesn't change you". I saved one of the best for last... yes, that is right, the Photo inspiration series will conclude after today (for the time being), as my employer has given me ground duties until I'm fully recovered from my ski-injury end of February. Hearing US photographer Zack Arias talk is very inspiring and thought provoking, to say the least. Zack, is the one responsible for my switch to mirrorless (see Bye Bye Nikon, Hello Fujifilm), after I heard him talk about the new Fujifilm X-100 at Gulf Photo Plus (Dubai) in 2012. Fighting with depression, Zach inspired hundreds of not thousands of photographers who at some stage in their photographic life, have all gone through a creative rut. Although published 8 years ago, the video remains very much relevant today. I personally must have watched it a dozen times and it still inspires me whenever I'm in a photographical low. 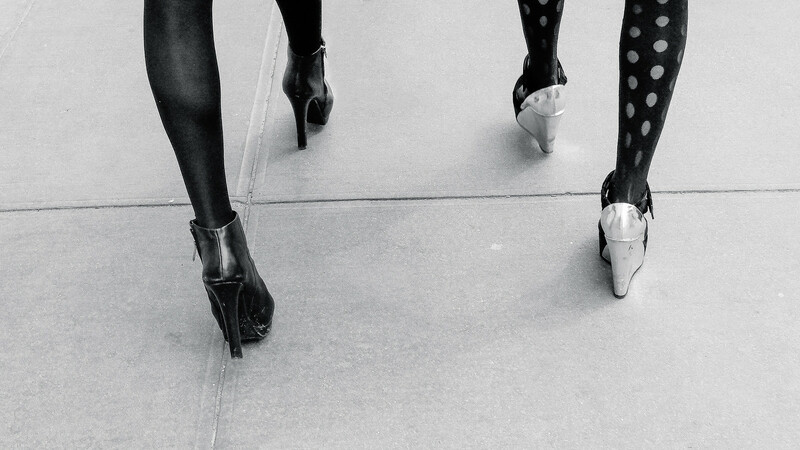 Saul Leiter is one of those defining photographers which most people had never heard about, till after his passing. A combined Painter and Photographer, Saul started working in the 1940's and became part of the New York School of Photography. Amongst other members such as Robert Frank, William Klein, Henri Cartier-Bresson, Helen Levitt, Diane Arbus and Lisette Model, Saul was probably one of the less well known ones at the time. He did however play a huge role in the fact that Colour Photography became accepted as a "real art" form. It was after buying "In no great hurry, 13 lessons in life with Saul Leiter", a documentary about the legendary photographer which was made just before he passed away in New York end of 2013, that I really started being interested in the artist. The documentary can be bought on iTunes, Amazon and other online content providers. Meanwhile I have bought his "Early Color Work" book and have attended a Saul Leiter retrospective exhibition earlier this year. All have inspired me to look at my Color Street Photography in a different way.